I never seem to have enough time to be alone with my thoughts. There’s always so much to do. I don’t have the attention span to meditate for any longer than a minute, purposely doing nothing. It just isn’t in me, though I wish it were. I do find however, that I’m learning to enjoy “mind-numbing” tasks. They’re great stress relievers, especially when I’m having writing troubles. There’s something gratify in doing a task well, that requires no thought, not even the tiniest bit of brain power. Today’s task was dusting. Not the kind of dusting where you flick the dirt around with a clump of feathers on a stick, that’s not hands-on enough for me. I like to use a rag, pick something that’s truly dirty, and wipe down every surface until the object in question “smiles” at me. I like the gratification of seeing some sort of progress being made. In the meantime, my brain can take a little breather. I’m not trying to solve the world’s problems. I’m not trying to fit 30 hours worth of tasks into an 8+ hour shift at work. I’m just trying to get the smudges off a coffee table, a simple task that I’m guaranteed to succeed in. (Random Picture Time!) 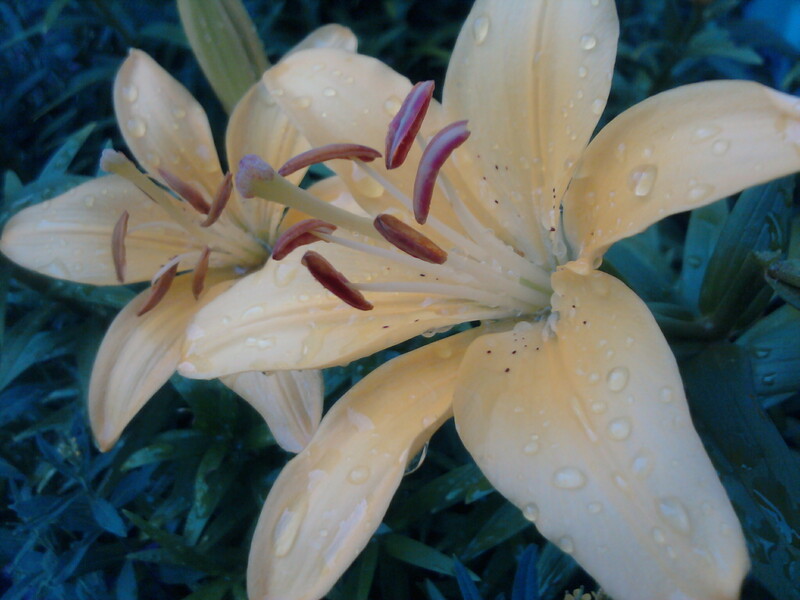 Lilies from my garden. Some people find enlightenment by sitting on a mountain, some through chanting, or by using incense and candles. Apparently, I acquire knowledge and wisdom about my characters through manual labor. Next postWriting and research are like peas and carrots!